For an industrial engineer, the prospect of having to shut down operations due to poor machine performance is worrisome, to say the very least. That’s why Kodiak is dedicated to supplying our customers with the most advanced, state-of-the-art engineering products on the market to make sure our customers are running their heavy-duty industrial applications at full capacity and with complete confidence in the performance of our products. Whether your requirements are specific to the automotive, medical, transportation, or other modern industry, our team will help you find the exact solution you need for optimal flow and pressure control. While both series of industrial pressure transducer accommodated specials with innovative CVD-sensing technology, innovative process and level controls, ASIC (amplified units), and modular packaging, they differ in form and function. For example, the 2200 series is designed for ultimate precision, accuracy, and stability with a variety of enclosure options. The 2600 series is built with an all-welded, stainless-steel backend for a diverse range of packaging options, making it ideal for the most demanding submersible and industrial applications. 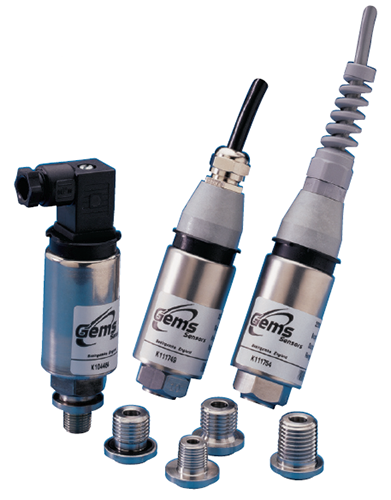 One of the most important factors in choosing a quality industrial pressure transducer lies in its capacity for electromagnetic compatibility. Both the 2200 and 2600 lines meet the requirement for CE marking of EN50081-2 for emissions, and EN50082-2 for susceptibility, according to test data. To check out all of the process & level control products we offer, view our level instruments or process control product pages or contact us. We’d love to hear from you! Technology has advanced by leaps and bounds since the first programmable logic controller was developed for the automobile industry. 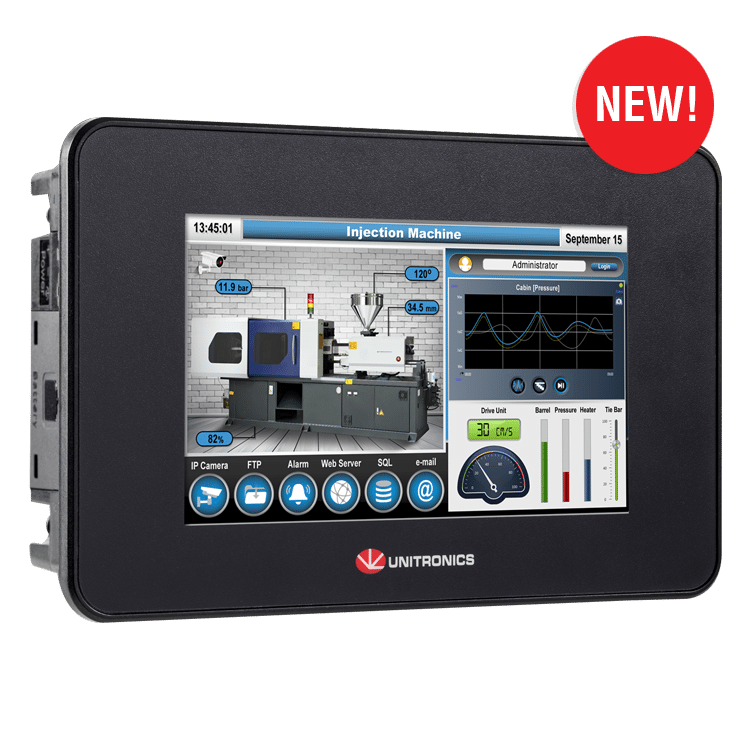 New innovations are ever evolving and we are happy to introduce the latest addition of UniStream® HMI/PLCs to our collection. The Unistream®5 , a smaller 5″ version, is now available along with the 15.6”, 10.4”, and 7” versions. If you’re looking to upgrade your current PLC or want to purchase one for the first time, our team at Kodiak is happy to answer any questions and help you choose the products that will allow you to streamline your manufacturing and other processes. The UniStream® 5” also includes diverse communication capabilities including remote access, Ethernet, send e-mail function, SMS messaging, remote access via VNC, and many more. Web server, SQL client, and video +RTSP are also available on the Pro version. With capabilities to install up to 2,048 I/O points, ladder memory of 1 MB, and the ability to operate in temperatures ranging from -20° C to 55° C, this is a versatile unit that will provide the functionality, durability, and ease of use you require. 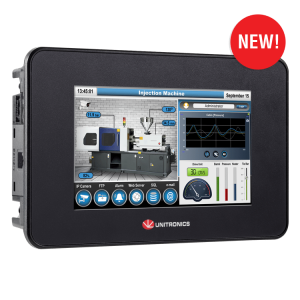 To learn more about the new UniStream® 5 or to view the other programmable logic controllers & HMI’s we offer, check out our products page and send us a quote request. We’d love to hear from you. If you’re looking for an efficient solution to your complex industrial communication needs, now is the time to discover remote I/O module technology. From large scale facility monitoring, oil and gas transportation, plant energy management, water and waste/water management and more, I/O modules can save money while transferring necessary signals to hard-to-reach places. Wireless I/O modules are ideal for dangerous industrial environments including explosion-prone and underwater areas. 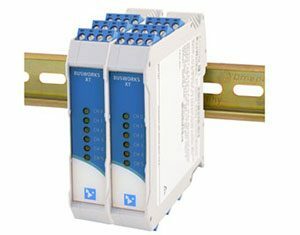 I/O units don’t require special or complicated wiring, eliminating the need for analog sensors and reducing the cord sets required for sensors. That means money saved on inventory costs as well as added efficiency! Remote I/O module technology provides access to sensor-level data in difficult to reach areas. This ensures smoother operation of system components while streamlining device replacement and machine maintenance – again saving costs and improving efficiency. Quality I/O technology allows you to read and change device parameters using control system software. This means fast and custom configuration that saves you time and resources. This is especially important in consumer goods industries. Should device replacement be required, all you do is remotely adjust the sensor settings, and I/O data storage allows for automated parameter reassignment, also known as ADR. This allows you to get your new device up and running quickly and simply. More time savings and efficiency! One of the greatest benefits to I/O technology is enhanced visibility into costly and dangerous errors. Users can see what the sensor is doing and how well it is performing at all times, thereby improving machine efficiency. You are able to quickly spot and identify a problem without shutting down the line or machine. The benefits of remote I/O module technology are vast and centered around two important features: cost-savings and efficiency. If you have questions or would like to learn more about I/O modules, contact us. We’d love to hear from you.